The life of Padma Shri winner Chintakindi Mallesham, who invented the the Asu machine that processes yarn for sarees mechanically, is being recreated in a biopic titled “Mallesham” The Telugu-language film will be directed by debutant Raj and Produced by Sri Adhikari and Raj R.Priyadarshi is playing the lead role in this film. Balu Shadilasya is the cinematographer, Laxman Aeley is the production designer of the film. Acclaimed sound designer Nithin Lukose is doing the sound design for the film. Mark K Robin is composing the music. 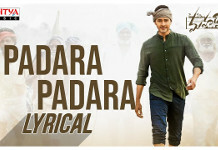 The dialogues are written by famous writer Peddinti Ashok Kumar and the lyrics are by Goreti Venkanna and Chandrabose. Venkat Siddareddy is the Executive Producer for the film.